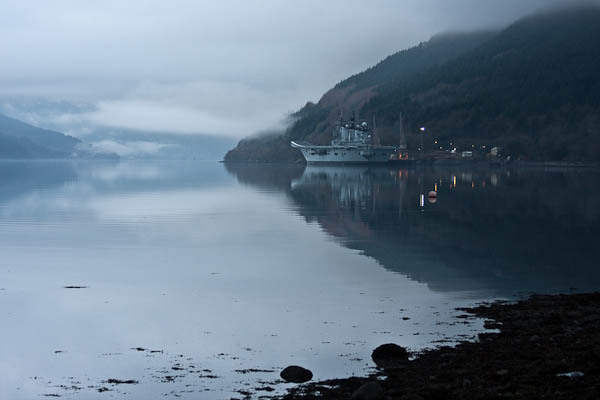 I often drive by the lochside at the mouth of loch long while working, and there is often a naval supply ship docked. Imagine my surprise a few weeks ago to round the bend and see an aircraft carrier in front of me. 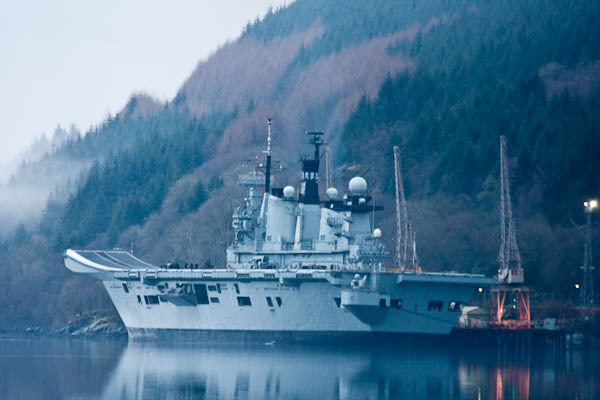 It’s HMS Illustrious and I don’t expect to see it in Loch Long again; perhaps it was here on an exercise? I couldn’t resist taking a snap even though it was misty and getting a little dark. Not at all great pictures, but interesting.